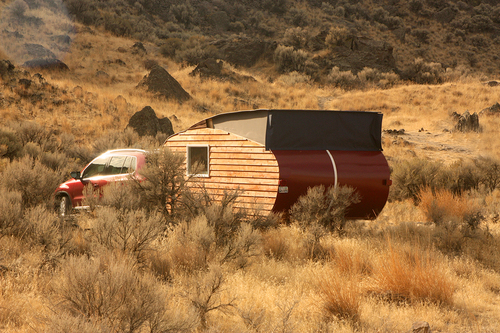 I’ve always been a fan of Scamp trailers ever since we started our small trailer search back in 2009. Whether it’s because they’ve got a fun name or whether it’s because they’re built in a region of Minnesota where I vacationed when I was a little boy, they’ve always been one of my favorite small trailer companies. If I had a “Mount Rushmore of Small Trailers”, Scamp would be one of the four on it. 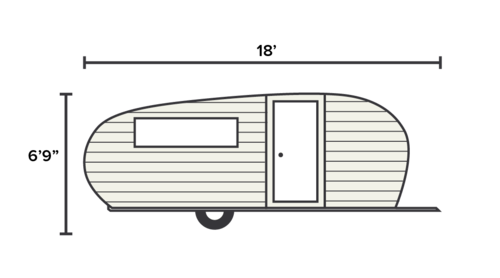 Scamps have been at the top of the heap of molded fiberglass campers since they first emerged from an old Ford garage in Backus, Minnesota back in 1971. I’m happy to announce another new partner to The Small Trailer Enthuisast in 2016. 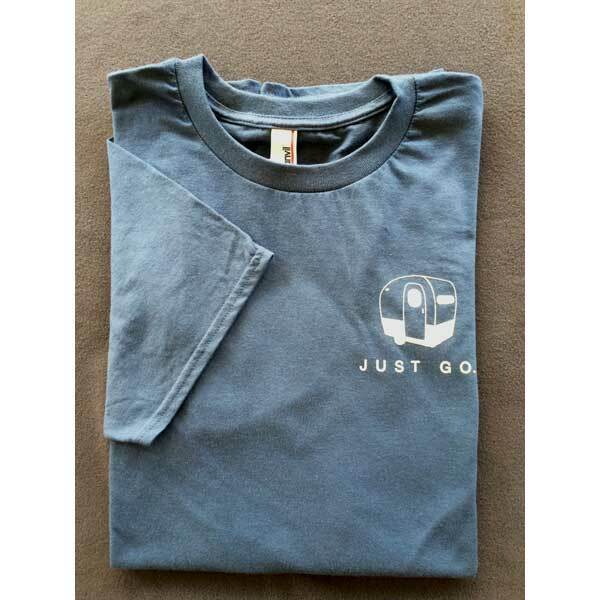 Vintage Camping Gear is a relatively new online business specializing in vintage & classic trailer accessories. 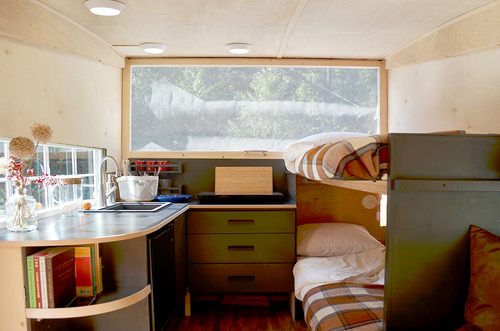 Owners Jeff & Karen Matson of Kalamazoo, Michigan have been fans of vintage trailers, and have recently purchased a 19′ Shasta Airflyte Reissue earlier in 2016. Karen is an artist and painting and graphic design instructor, while owning Matson Art & Design. Jeff owns Creative Group, a web and graphic design firm as well as Matson Woodworking. 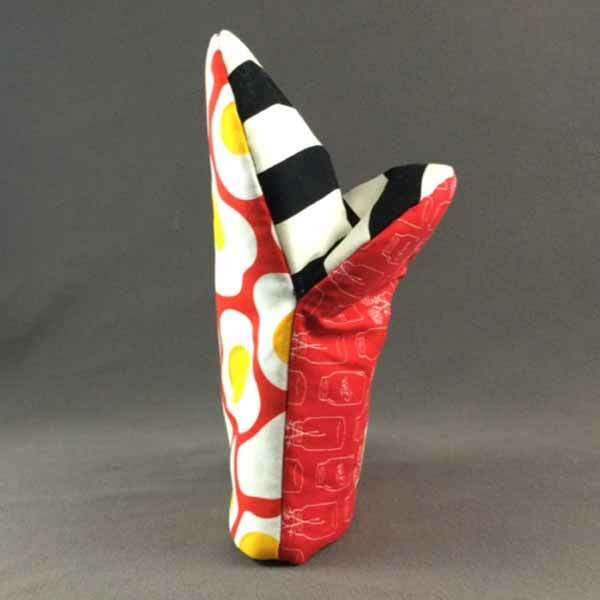 Jeff & Karen use their experience with their businesses to create the products on Vintage Camping Gear. 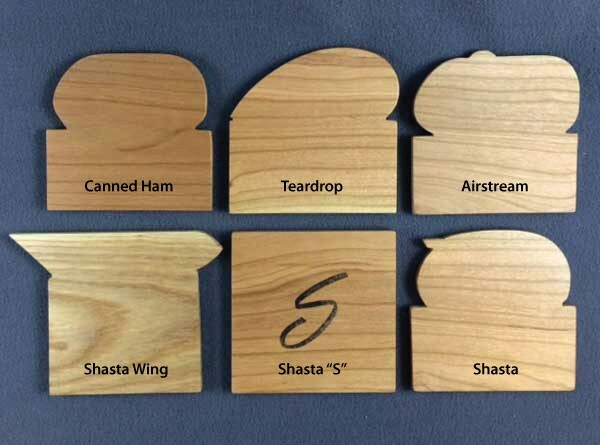 Some of those products include trailer shaped cutting boards & coasters, hot pads & oven mitts, drinkware, and more. Thanks again to Jeff & Karen for supporting our site, and by all means, return the favor and give them your support! Back in January, I introduced you to the Lance Camper 1475 travel trailer. It was introduced this past December at the RVIA trade show in Louisville, Kentucky. The 1475 is a non-slide, single axle 2500 lbs trailer ideal for 1 or 2 people, and is built at the Lance manufacturing facility in Lancaster, California. The 1475 brings the Lance travel trailer lineup to nine, ranging in lengths from 14′ to 22′. 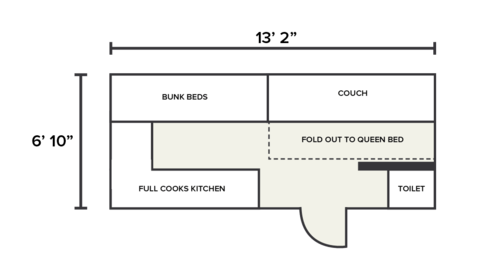 Unique to the 1475 when compared to trailers similar in size and amenities is the absence of a traditional RV dinette. 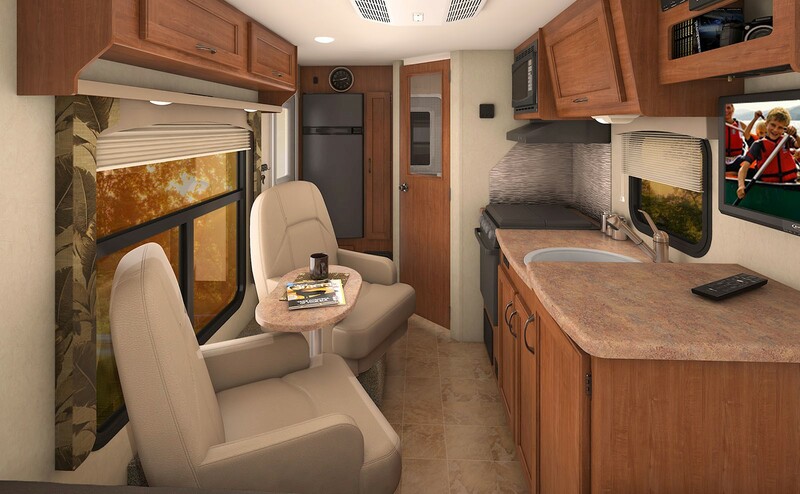 In a recent press release from Lance, the 1475 comes standard with laminated fiberglass/aluminum frame/block foam insulated construction, Azdel interior panel walls, bluetooth app enabled audio system, LED lighting, class leading pass through storage, radius full torque frameless dual pane tinted windows, aluminum wheels, exterior propane BBQ connection, exterior wash station, ducted heat as well as popular options including keyless entry, electric lateral arm awning with motion sensor, solar panel, LED TV, microwave & A.C. The 1475 is designed to be an adventure machine that is easily towed behind almost any midsize tow vehicle with a minimum of 3,500lb. GVWR. The Lance 1475 is now arriving at dealer lots just in time to start the 2016 camping season, with a base MSRP of $23,888. 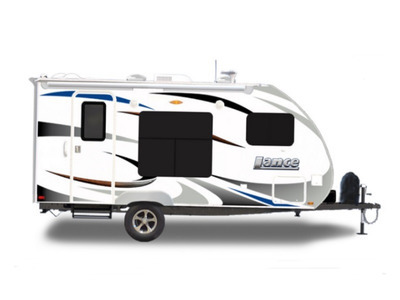 For more information on the 1475, visit the Lance website at http://www.lancecamper.com/travel-trailers/1475/. Many mainstream trailer manufacturers tout their RVs as being “green certified” to gain favor with those concerned with an RV’s environmental impact. However, very little is actually required of a manufacturer in, for example, an RV’s internal air quality to gain green certification. 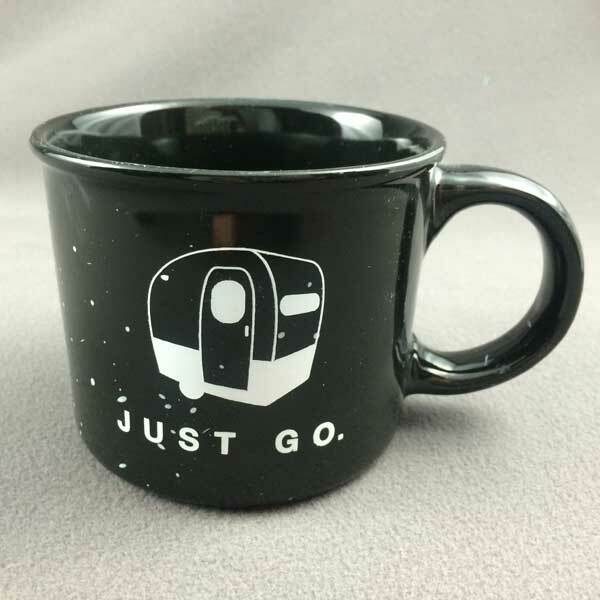 None of those manufacturers truly embrace and produce a green RV like newly formed Homegrown Trailers, based in Woodinville, Washington. 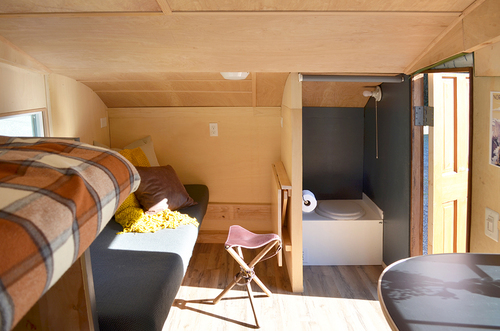 With the help of some friends with construction experience, they created a trailer that can comfortably sleep four, has a kitchen, fit in a standard residential garage, and most important, is one of the most environmentally friendly trailers you’re likely to find anywhere. As for construction, Eric tells me, “The exterior sides are Western Red Cedar. The top, front, and rear in the production model will be EcoClad, which is a durable surface made from bamboo and recycled paper.” Other features include 100% solar power with 400 watts of solar panels standard (with an option for 800 total watts), a clean & composting toilet, sustainable materials made with non-toxic chemicals, and energy efficient lights and appliances. As for weights & measures, the Homegrow Trailer weighs a mere 2,000 lbs with a 3,000 cargo capacity. 18′ from hitch to tail and 6’9″ height, and 6’10” width allows one to be stored in most garages. 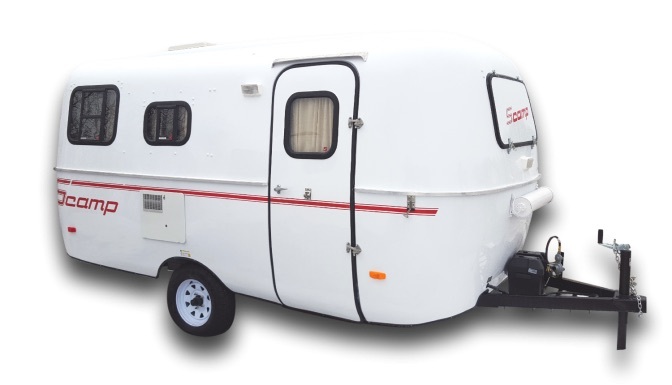 Total box length of the trailer is 13’2″. 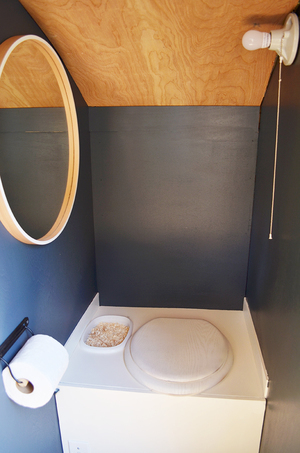 A hard-sided pop top adds additional ventilation as well as 6’5″ of total headroom. With Homegrown Trailers officially being in business since just this January, it goes without saying they’re in the infant stages. However, they’ve put together a staff and are ready to hit the ground running. “Our VP of Production, Kimberly Briar, leads our manufacturing staff. She relies on two other key colleagues: Kirk Robinson, Innovation Specialist, and James Jenkins, Product Innovation and Sustainable Materials Specialist. The three of them are spearheading the planning and building of the next trailers and then we’ll soon be hiring a couple production assistants to help”, Eric tells me. But like most trailer manufacturers starting out, financial backing plays a big part in how well things will start out. 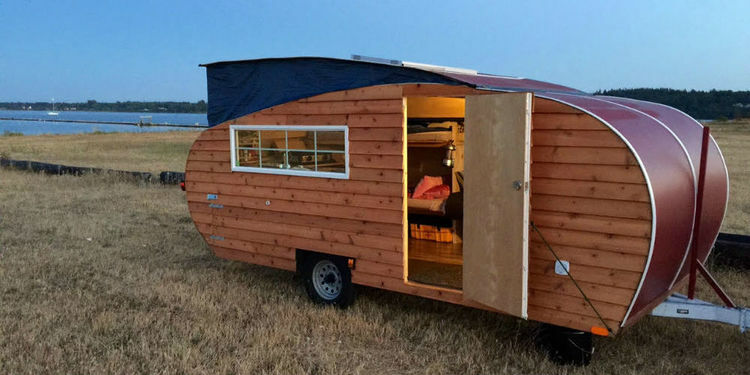 To help smooth the road to success, Eric, Corey, and fellow co-founder Kimberly Briar have started a crowdfunding initiative through Indiegogo with the goal of raising $350,000 to aid in building the initial fleet of trailers, both to rent and those for sale, which will have a price tag of $28,995.